Answering questions about vegetarian Christmas food has almost become a December tradition for us. It seems like a lot of people are looking for more plant based options for their holiday celebrations, regardless if they are vegetarians or not. I wish we had an awesome vegetarian version of Swedish meatballs or a brilliant vegetarian Christmas sausage recipe to send over, whenever we are asked. But truth be told, we usually keep things simpler in our family. One of our favourite things to bring to a Christmas table is a flavourful salad with some cooked quinoa, buckwheat or millet, a selection of roasted vegetables, greens, nuts and fruit. It might sound boring with a salad but it always look very colourful and festive and really stand out from all the bread, gravy and sauces. 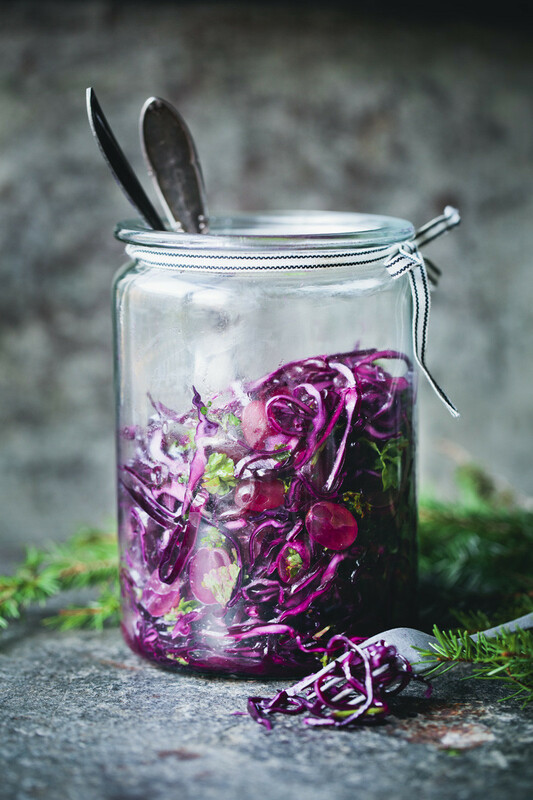 When Norwegian newspaper DN asked us to create a couple of vegetarian Christmas recipes for their weekend magazine D2, a holiday salad was of course on the menu. But we also included an updated version of our old mushroom loaf recipe with spinach, brown rice and hazelnuts, as a delicious green main dish. 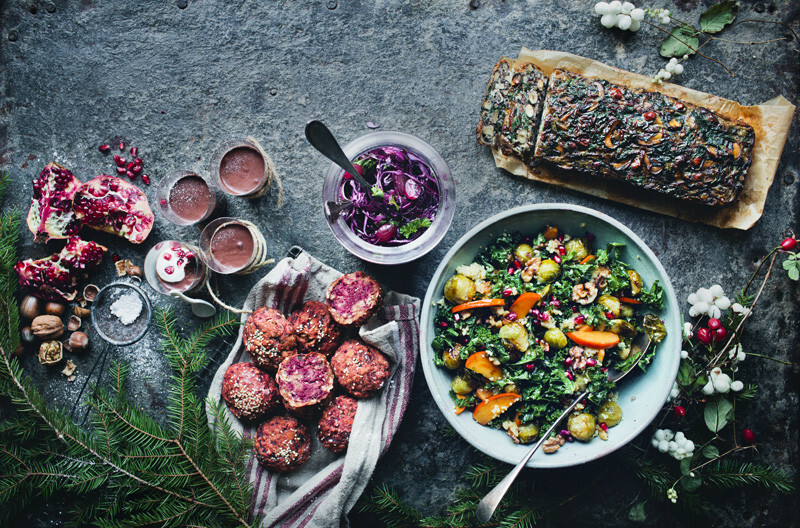 Along with our gluten free beet buns, a red cabbage and grape salad and a Christmas spiced chocolate mousse that is dead-easy to make. And now, with Christmas just around the corner, we are also sharing all those recipes here, for all of you that don’t speak Norwegian. Choose one dish or make the entire menu. And if you are looking for more Christmas recipes, you can have a look through our archive. Happy holidays! As I mentioned above, we love hearty salads that balances warm and cold ingredients, have a variety of textures and a touch of sweetness. 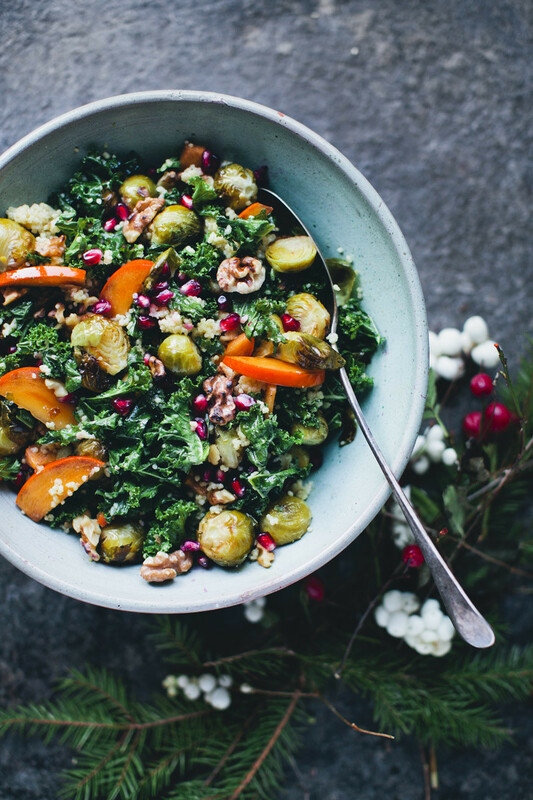 This Christmas salad with oven roasted Brussels sprouts, kale and persimmons has all that. The millet makes it into more of a main dish than just a salad and the honey Dijon dressing adds delicious Christmassy flavours. If you are not cooking for vegans, some feta cheese or goat’s cheese would also be delicious in this. Rinse the Brussels sprouts, remove the outer leaf, cut off the end and slice them in halves. Place in an ovenproof dish, drizzle with olive oil and salt and toss with your hands. Place in the oven and bake for about 20 minutes or until soft and with golden and crispy edges. Rinse the millet in hot water and then cook it according to the packaging. Prepare the dressing by whisking all ingredients in a small bowl. Chop the kale coarsely and place in a salad bowl, pour over the dressing and use your hands to massage the leaves, making sure every single kale leaf is covered in dressing. Add the cooked millet and toss to combine. Then add persimmon, walnuts and a sprinkle of pomegranate seeds on top. 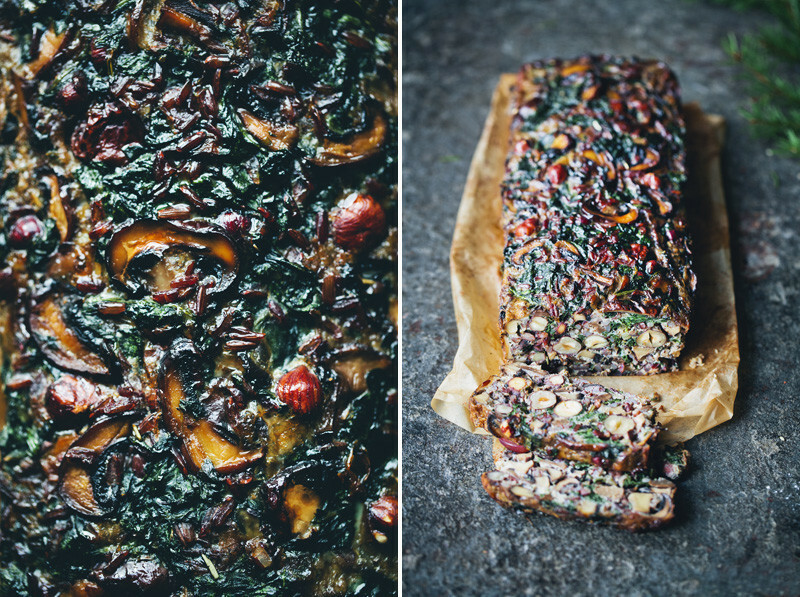 This delicious Christmas loaf is filled with flavour from mushrooms, spinach and hazelnuts and a very satisfying thanks to the rice. 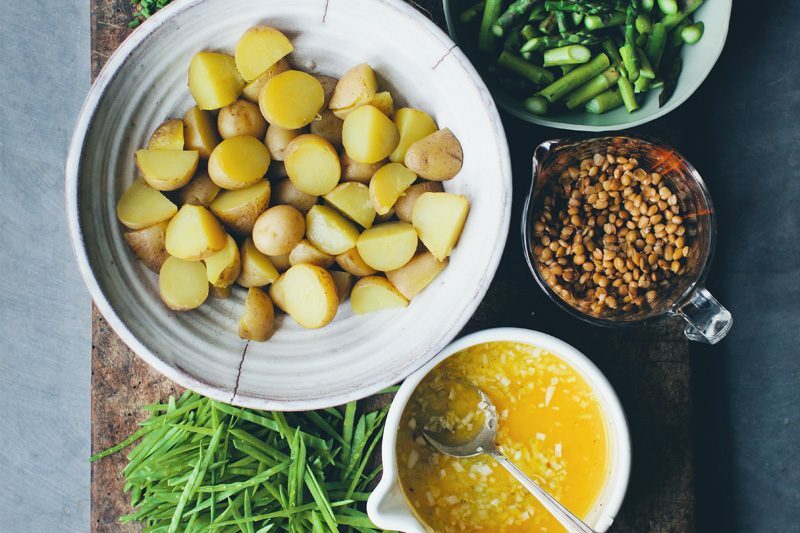 It’s perfect to make for Christmas as a vegetarian main dish. We love the look of the whole hazelnuts inside the loaf but you can chop them coarsely to make it even easier to cut the slices. Place the rice in a sieve and rinse with water. Then place in a saucepan with water and salt. Bring to a boil, lower the heat to a bare simmer and let cook for 30-40 minutes (check the specific cooking time on the package). Clean the mushrooms with a soft brush, if they are very dirty you can wash them with a little water and dry well. Slice the stem and the cap lengthwise into large slices. Heat oil in a skillet on medium-high heat, add garlic and onion and fry until fragrant. Then add mushrooms, rosemary, thyme salt and pepper and let fry for 2-3 minutes until browned on one side, then stir to flip side. Fry for a couple more minutes and then add spinach, stir around until wilted and pour into a bowl. In a separate bowl whisk the eggs with milk, nutmeg, salt and pepper. Add hazelnuts, cooked rice and the mushroom and spinach mixture and combine. Grease a loaf pan or cover it in baking paper. Pour the loaf mixture into the pan, place in the oven and bake for 45 minutes. Let cool slightly to allow the loaf to set. Carefully flip the loaf out of the pan. Use a sharp knife when slicing it, we usually do 1-2 cm slices. Enjoy! We make this crunchy salad as a fresh and simple side to all the richer dishes. It has a stunning colour and is very quick and easy. We add grapes for sweetness but orange slices would also be delicious. 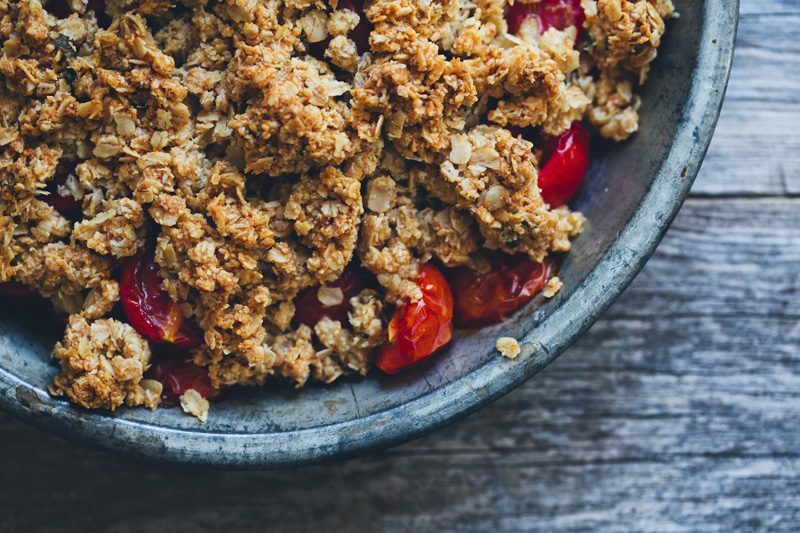 You could also add a tablespoon of maple syrup if you prefer it a little sweeter. Use a mandolin or a sharp knife to slice red cabbage and onion thinly. Cut the grapes in half and remove the seeds. Chop the parsley coarsely. Toss everything in a bowl. Mix the dressing and pour over the salad. Serve in a bowl or in a wide jar. These delicious mini bread are so ideal on a Christmas table with their cute colour and slightly sweet flavour. 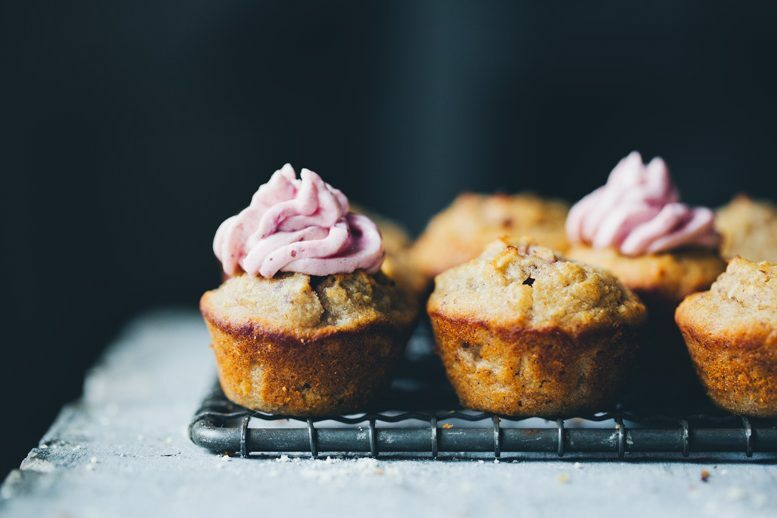 Even if you are not gluten intolerant you will love these for their simplicity. Plus, it’s a nice gesture if you have guests with intolerances coming over. We posted the recipe for these buns here a while back. We added in a 1 tsp caraway seeds for extra flavour in this batch. The technique for this chocolate mousse was invented by the french scientist Hervé. The remarkable thing is that you only need dark chocolate and a liquid – it even works with water! The secret is to simply whisk air into the melted chocolate and the result is a creamy mousse with an intense chocolate flavour. Here, we are however making it with milk and gingerbread spices for a Christmas twist. Since chocolate is the main ingredient, make sure to choose good quality. Create a water-bath by filling a sauce pan with 5 cm water and placing it on the stove on medium heat with a heatproof bowl on top (steel or glass bowl works best). Add milk and spices to the bowl. Chop the chocolate coarsely then add it to the milk. Stir a few times with a spatula while the chocolate is melting in the milk, then fill a large mixing bowl halfway with ice. Move the bowl of melted chocolate from the heat to the ice bath and start beating it vigorously with a hand whisk for about 3-4 minutes. At first it will look very loose and bubbly but after a while it will start to feel more like when you are whipping cream, fine lines will appear as you run the whisk through the chocolate and it starts looking like a mousse. 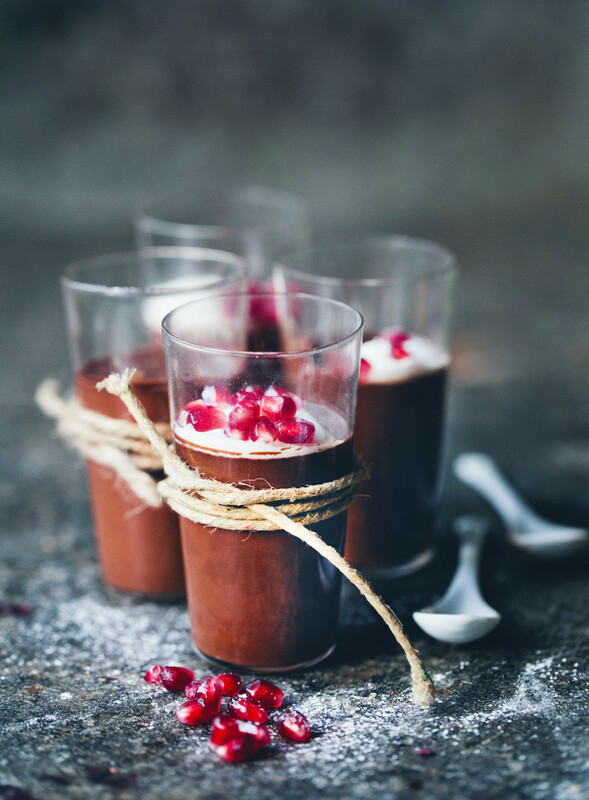 Use a spoon to carefully pour or divide the mousse into 4 desert glasses that you store in the fridge. It’s easily happened to overmix the chocolate the first time – only 30 seconds too much and it firms up so you can’t pour it and eventually becomes grainy. In that case, simply bring it back to the heat, let it melt entirely and then place it back on the ice and start whisking again. 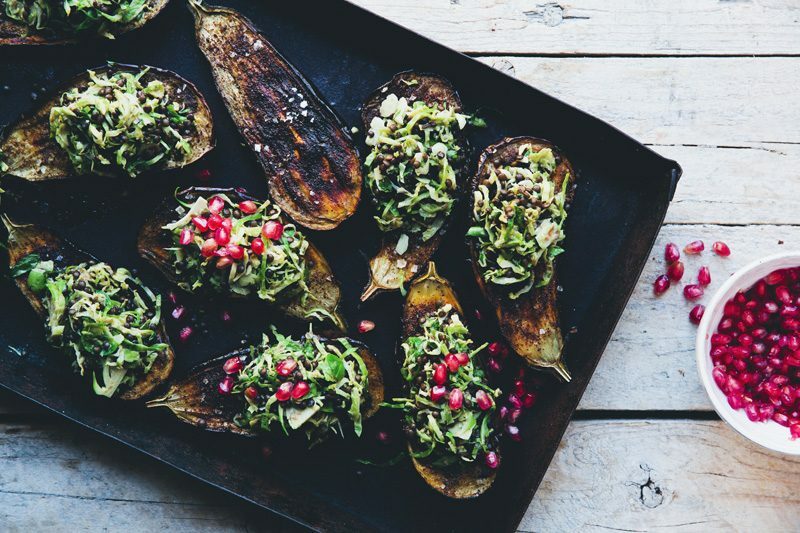 Serve with a dollop of yogurt or cream and a sprinkle of pomegranate seeds. You can dust a little powdered sugar on top just for the look of it. PS! We are actually not having any of these dishes for Christmas as we are currently in Thailand on a no-work holiday. The only time we have been reminded of Christmas here was when a bunch of monkeys broke into our house and stole some of the Christmas gifts that we had brought for Elsa! So now we are looking for a monkey wearing a striped dress and some glitter nail polish. And a very happy Thai Christmas to your little family! All we need now is some snow. Enjoy! I love your beautiful and site and enjoy your cookbook. However, I can't seem to find how to print recipes from your site. Please tell me what to do. Thank you. All of these recipes--i mean ALL of them--look stunning! 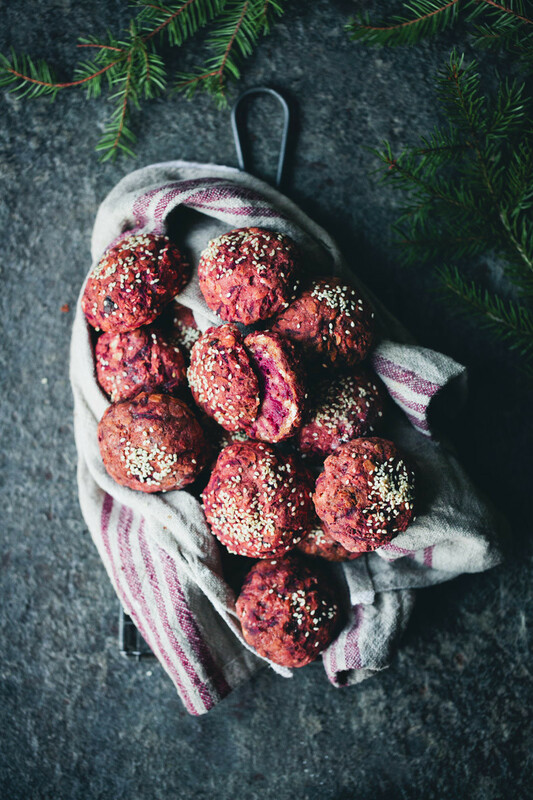 The loaf and the beet buns look astoundingly delicious! We love your recipes. They've inspired all sorts of wonders in our kitchen! What can we use instead of mushrooms? Thank you! I am hoping my Thai daughter-in-law will help me make these recipes for a meal right after christmas - on Christmas we are actually going out to eat Thai food - a new tradition for us. It is such a pleasure to read these recipes and think about making things I can eat - thanks again! This is perfect! I hadn't planned what to make for Christmas dinner yet. The loaf and persimmon salad is now on the list! Thank you! Good luck finding that monkey and happy time out holiday! 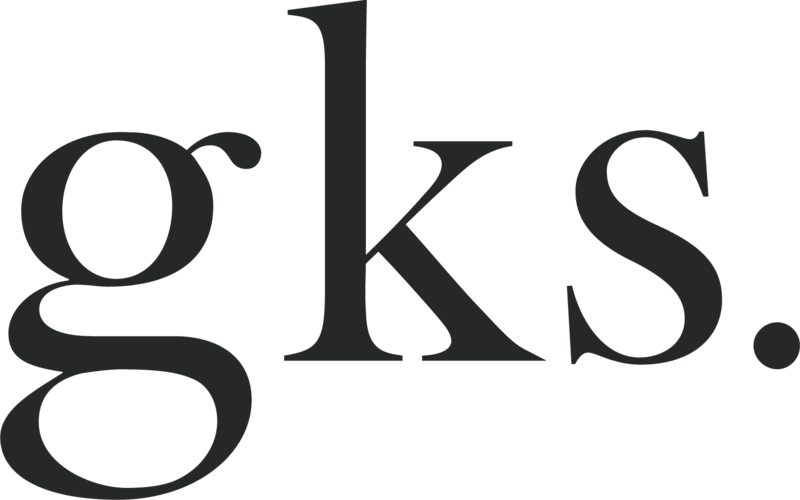 I'm a new follower and very happy to have found your blog. Thanks. Everything looks beautiful, thank you for sharing these recipes! I hope you're having an incredible time in Thailand! The recipes sound wonderful, thank you so much for the inspiration!